The vibrant city of Hong Kong, China is the perfect balance of East and West. As such, this thriving metropolis beckons expatriates from around the globe. However, while Hong Kong is one of the safest cities in the world and boasts a tremendous amount of leisure activities, living in the concrete jungle is not for everyone, particularly families. So when these people relocate to Hong Kong, they look to one real estate market to find their new luxury apartment: Repulse Bay. 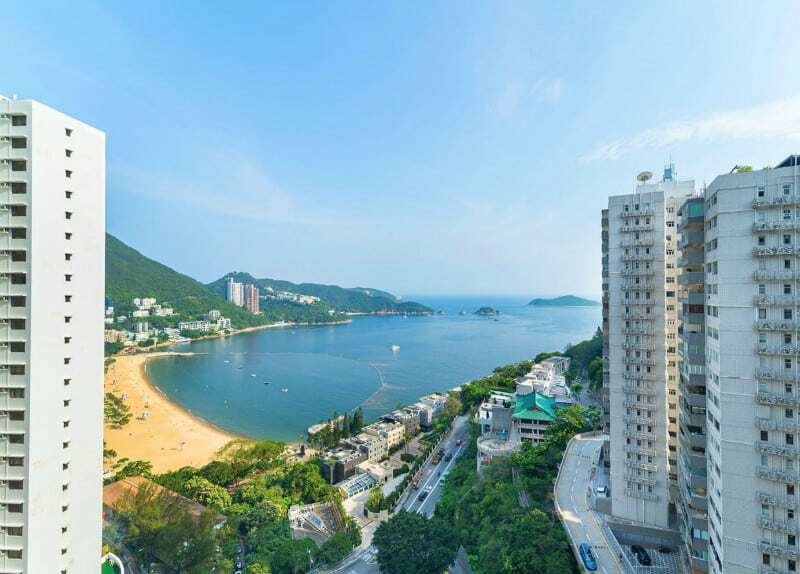 Repulse Bay, on the south side of Hong Kong Island, is one of the most desirable places to live in Hong Kong. Close to the city, yet removed from the busyness, Repulse Bay’s relaxed atmosphere is popular with families. As such, the area has many academically rigorous international schools. Contrary to life in Hong Kong proper, Repulse Bay has abundant recreational activities and parks. In addition, the neighborhood has many designer boutiques and award-winning restaurants. Repulse Bay Gardens was built in 1970. This luxury apartment complex consists of 12 towers with 20 stories each. A family-friendly enclave, the grounds include a tennis court and playground. Additionally, Repulse Bay Gardens is close to the beautiful Repulse Bay beach. Its centralized location is convenient for shopping in Stanley and Tai Tam. Additionally, these luxury apartments are only a 20 minute commute, either by bus or car, to the city center. 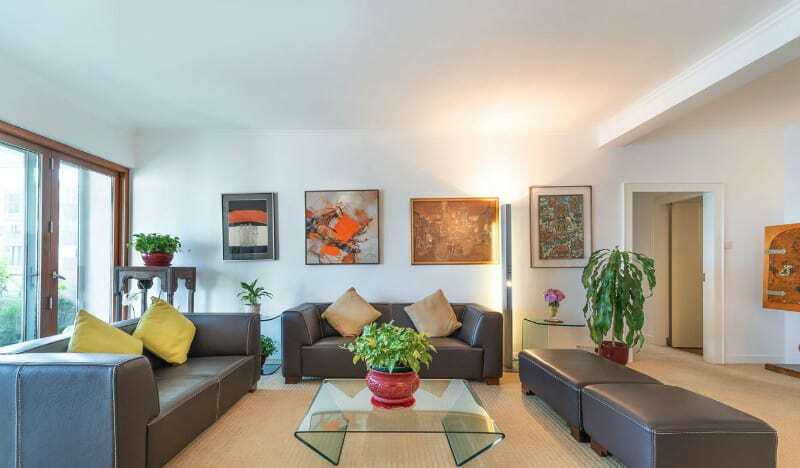 This spacious luxury apartment has three bedrooms within its 2,576 square feet. Originally, the home had four bedrooms. However, careful renovations converted the fourth bedroom into a sitting room for the master suite. 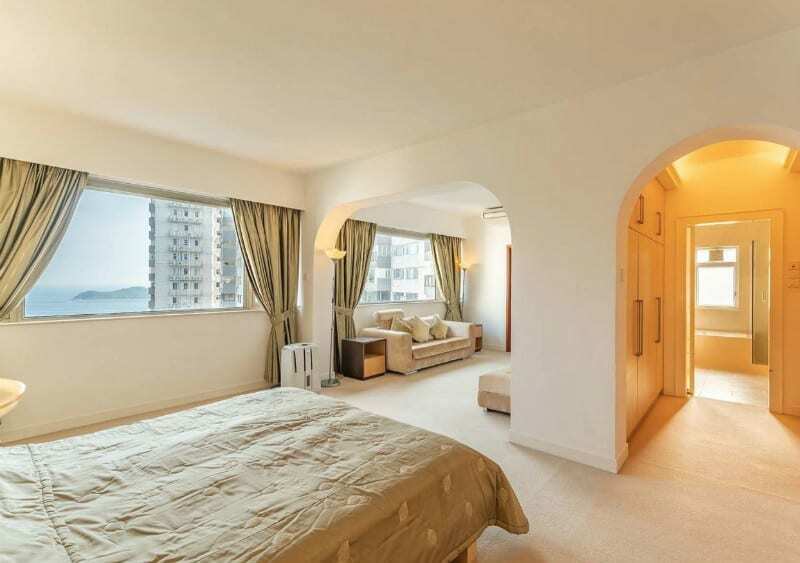 Two oversized windows let in plenty of light and provide for views of Repulse Bay. This beautiful master retreat also includes a walk-through closet and an en suite with dual sinks, bathtub, and separate glass-enclosed rain shower. This neutral tone home boasts a modern galley kitchen that connects to a round dining room, spacious enough for entertaining. 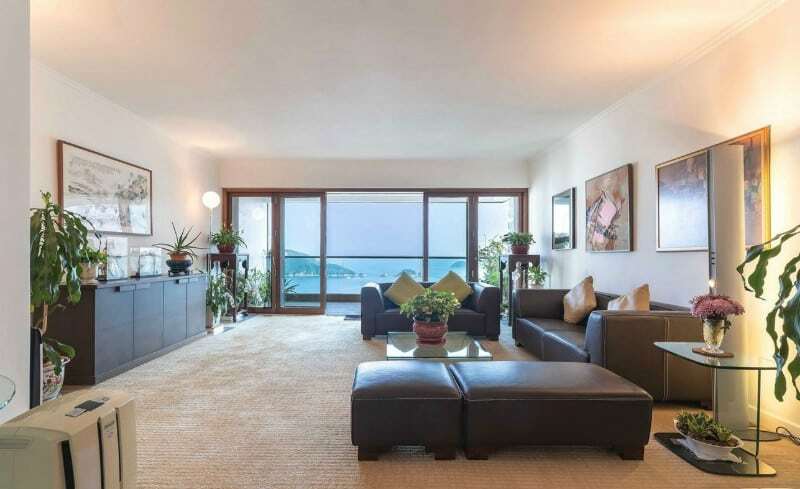 In addition, the generously-sized living room has large sliding glass doors to the balcony which overlooks the beautiful coastline. Two other bedrooms round out this luxury apartment, one with its own en suite. The city of Hong Kong has a transient nature. As such, rental properties are a high commodity. 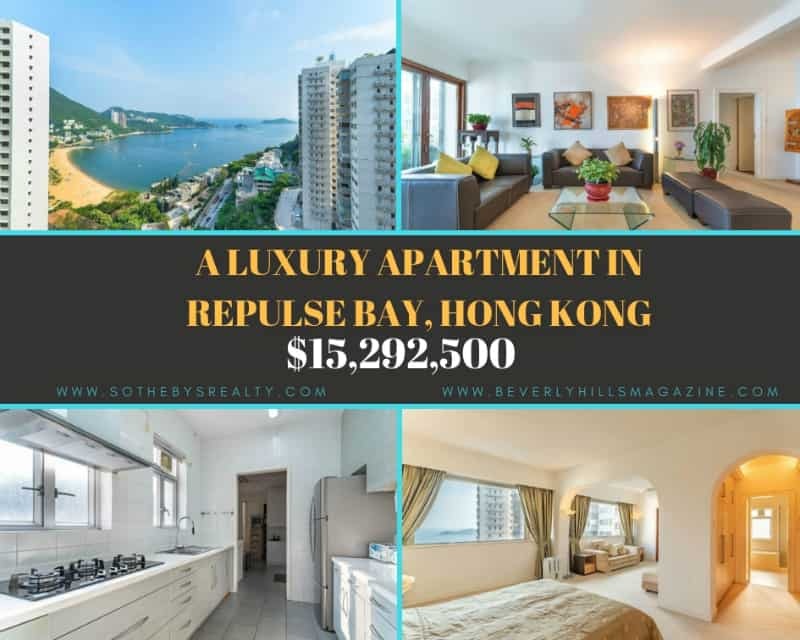 This luxury apartment, as its in one of the most sought after communities in Repulse Bay, Hong Kong, would be an ideal China real estate investment. 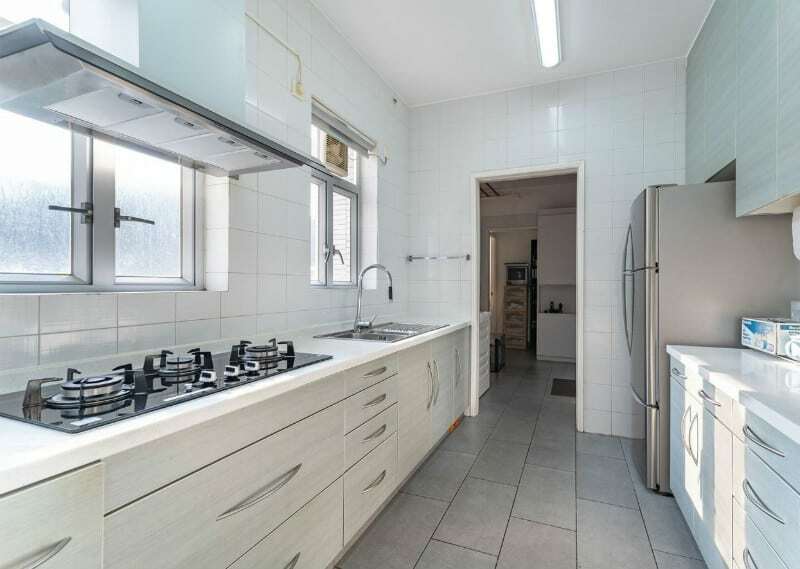 Or, should you be interested in becoming an expat yourself, this Repulse Bay Garden property could be your perfect home! 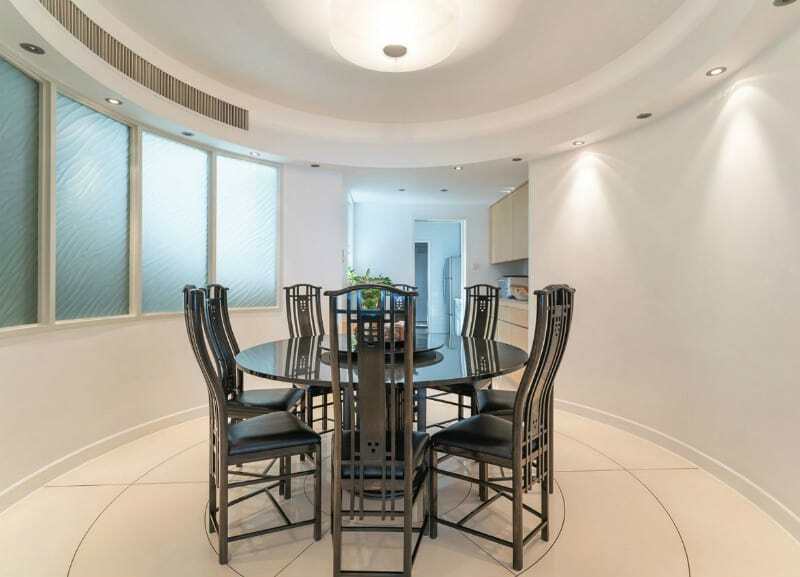 List Sotheby’s International Realty lists this luxury apartment with an asking price of $15,292,500 USD.